Caution – longest review of all time, and some awesome girl fighting ahead. Proceed at your own risk. 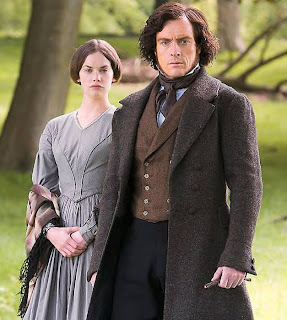 Jane Eyre vs. Lucy Snowe – Which one was more like Charlotte Bronte? “Who would love me?” asked Jane Eyre. “I am poor and little and plain.” That is Jane in a tiny little nutshell. She’s young and insecure, soft and pliable, untouched by love but from a rare friend. She’s an excellent teacher. People are drawn to her. On the surface she’s shy and unsure of herself, often naive – Hellooo, a psycho lady lived in her house how many months and she never figured it out? But still I was able to forgive her faults because almost immediately she lets you in. She was strong yet meek at the same time. Bad things happen to her, yet still she trusts; she hopes. Her heart is open. Lucy Snowe is quite the opposite of Miss Jane Eyre. An older, street-wise version if you will. She’s generally friendless, an orphan with no living family whatsoever; she would rather be alone than pressed for company. Teaching is something she does because she must. By going to London and then to France all by herself, she shows us she’s able to swallow her fear and be brave. She’s wise, sarcastic and has caustic whit, barely able to contain her biting tongue, admitting “a disclaimer burned on my lips, but I extinguished the flame.” To stop it was “a hard submission.” Unlike Jane’s tiny nutshell, Lucy’s heart is locked within a giant clam, and like a stubborn mollusk, must be pried open with a big stick until finally the contents are revealed, and a tasty treat lies within for those that get to witness it. Winner: Lucy by a swing to the nose. 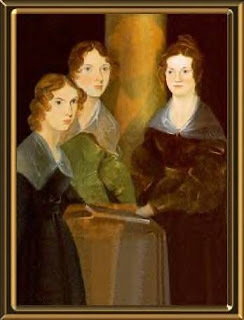 Perhaps Jane Eyre represents a younger, more naïve version of herself, but having written Villette towards the end of her life and right after the death of her last two sisters, Charlotte was definitely more melancholy and reflective. It shows in her writing. Having said this was her hardest book to finish, she was more honest, and I believed revealed more of herself through her pen than in Jane Eyre. Such poetry and deeply personal verse I shall probably never read again. It took a toll on me physically it was so heart felt and real. Lucy falls for the handsome doctor almost immediately, although she quickly talks herself out of it. His initial kindness when she was alone and friendless in a foreign country eventually does her in, but in the end he considers her a sister more than a love interest; a sister who always speaks truth. Her broken heart can only be mended when an unlikely, unfriendly savior appears in the form of a short, bald, fellow professor, by the name of Monsieur Emanuel. They fight almost every time they come in contact with each other. He frowns and scolds her more than he smiles. Yet, finally in the end she finds him more a kindred spirit than anything else. He doesn’t win her with words like Mr. Rochester does with Jane. He wins her with actions. Winner: Sorry, but Mr. Rochester still reigns victorious. The passion, the fire within! Ah, be still my beating heart I love that man. Let us gaze upon him a brief moment...hmm. But who would’ve Charlotte chosen? It is generally known she fell in love with her French professor while attending his school in Brussels. But he already came attached with an unfortunate wife – whom Charlotte clearly makes fun of by mimicking her in a most unflattering main character in Villette. The woman quickly ended their relationship by supposedly tearing apart their letters in a jealous rage. Charlotte’s taste in men – she declined several marriage proposals - like her strong female characters, clearly lacked in some areas. Perhaps Mr. Rochester was a combination of all the men in her life, and as an impossible standard, could never truly exist. Charlotte did not decide to finally marry until after she was quite famous, to a poor curate in a country village, who persisted even though she kept rejecting him, and besides the fact that her father thought him beneath her intellectually. Based on how unattractive her male leads always were, I doubt he was much to look at. But he proved he loved her, and that was enough. She died within six months of their marriage while pregnant with her first child. Great review. I love the cat fight! The combination of being pregnant so late in life, she was 39, and her weak constitution from all of the grief she'd suffered, made her not able to battle an illness she'd obtained not long after her marriage. Whether it really was an illness or just pregnancy-related issues I don't think anyone knows. They say she suffered for two long months before she finally died. gothic atmosphere and because I like Rochester so much. 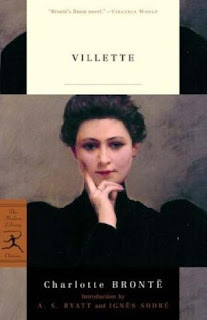 But Villette is a close second for different reasons entirely. It's a more adult, reflective book. One that you appreciate more with age I think. 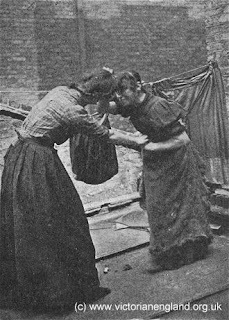 Oh, and as far as the cat fighting goes, I'm afraid that poor little Jane would be crushed by Lucy's wit. Too bad there's no way the two could've had a verbal sparring/mud wrestling match. That would've been something to watch! I love Charlotte and need to read more about her. Lady Lazarus - If you're a fan this one is definitely worth the time, if not only to get to know the author on a more personal level. She spills from the pages. Amazing review! So fun to read! Thank you Julie, because I thought it immensely silly most of the time! Thanks Lula. I'm getting ready to read Shirley next, then I'll read Villette (I'm so finicky that I have to read writers' books in chronological order hehe). It sounds so good.